Stumped for something to make for that costume party you got invited to and can't find a baby sitter? 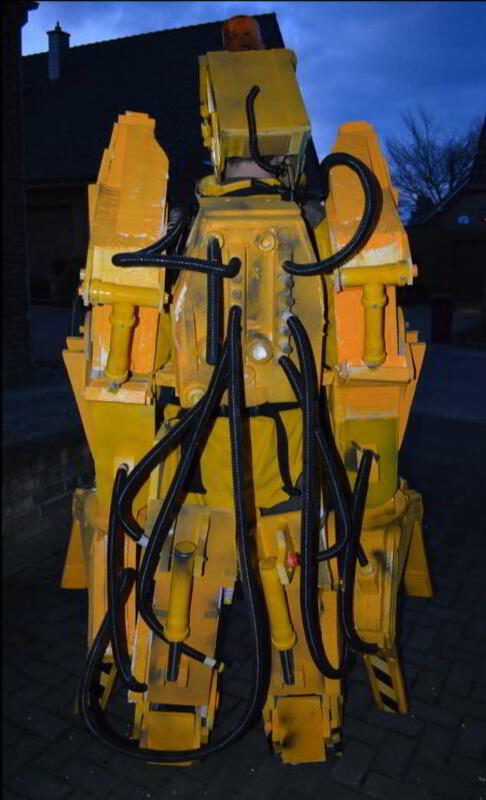 Then build this Aliens Powerloader costume that would make Sigourney Weaver proud. 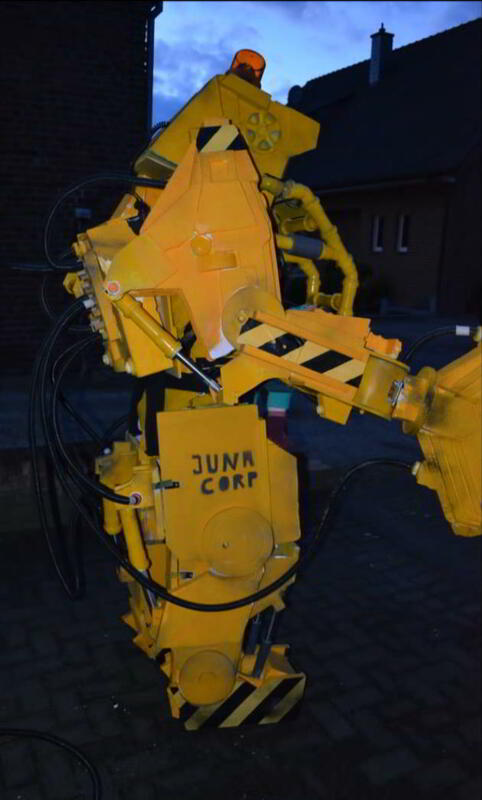 A German father had a stroke of genius while trying to come up with a costume for Karneval 2014 parade, and it got his 13-month-old daughter involved. 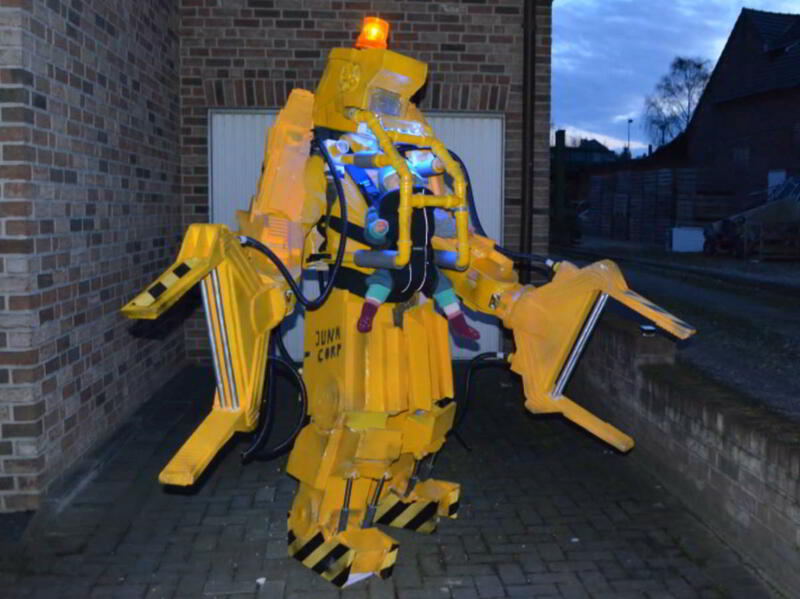 Inspired by James Cameron's movie Aliens, Carsten Riewe decided to create a Caterpillar P5000 Powerloader that could safely carry his daughter with him to the event. The creation took about 100 hours to complete. 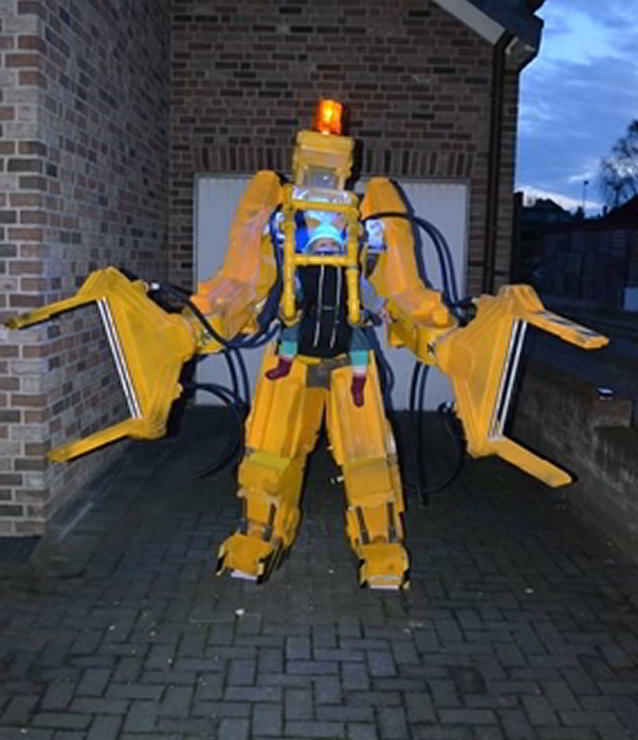 "The arms and legs are full moveable and the top-light and LED were powered by an 12 Volt battery pack stored in the backpack," Riewe said on his Facebook video. "The on/off switch is in the left arm. Also in the backpack, a Bluetooth boombox is installed to play mechanical robot sound fx or music if preferred." Riewe said his daughter enjoyed being carried about it the safety harness. This gets my vote for Creative Father of the Year. Check out the video below.